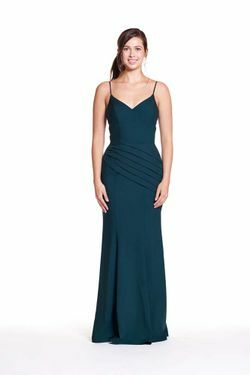 Bary Jay bridesmaid dress style 1860 - Bella Chiffon - Halter V-neck pleated bodice with spaghetti straps . Tiered ruffle skirt and zipper at center back. Available in Maternity and Junior sizes.